The "Asgard " at Kilmainham Jail. 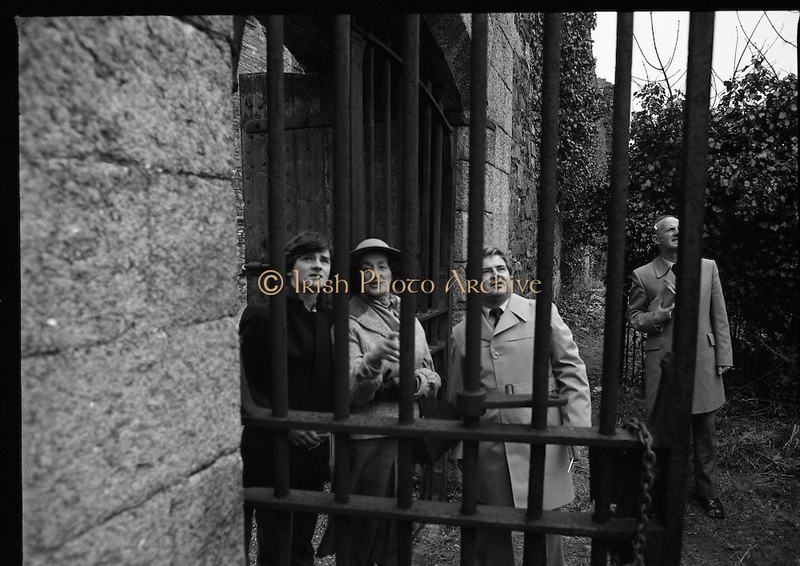 The "Asgard " at Kilmainham Jail..1979..01.04.1979..04.01.1979..1st April 1979..The historic yacht "Asgard" owned by Erskine Childers was brought to Kilmainham Jail,Dublin. The vessel had to be hoisted ,by crane,over the outer wall of the jail. It was placed as part of a future exhibition to be set up by The National Museum..Mrs Erskine Childers is pictured as she watches the yacht being hoisted into the air.